Xray Vision driving lights are built to suit the tough Australian conditions and they develop their lighting technology to supply reflectors that give great distance performance and the most advanced homogenous light distribution. HID are the ultimate in long distance performance, and essential to avoiding road hazards and wildlife. Their power and distance are ideal for travel in rural, regional and outback areas. HID driving lights come in 160mm, 200mm and 220mm diameters with a HID 4200K globe. The internal HID ballast features the GEN V fast-fire system and super soft start technology, the 160 series have are 60W and the 220 and 200 series are 90W. The range features a die-cast alloy (black or chrome) body. Die cast alloy globe holder and free form reflector produce true pencil and spread beam patterns. Blue or clear optics-free lens that has high heat and UV resistance and a LED position plate on 220 series or LED position ring on 200 series. All include a protective polycarbonate cover. LED driving lights are a great all-rounder for all types of coastal, semi-rural, highways, winding hills and bush tracks. LED driving lights come in 125mm, 175mm, 220mm and 245mm diameters with 10W CREE LEDs. The LEDs produce high power, very white 6000K output and a long service life. The range features a die-cast alloy body, sealed and IP67 rated. 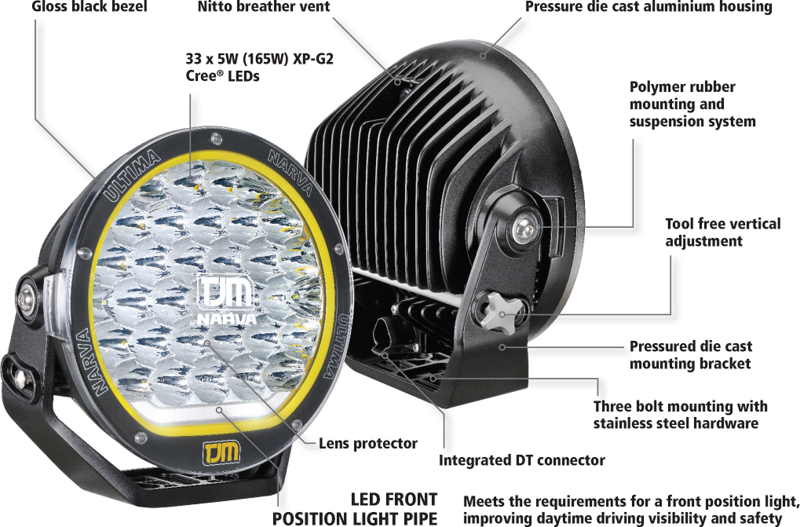 Each LED has a dedicated reflector. Clear optical lens use multiplexer technology to focus and project the light. All include a protective polycarbonate cover. 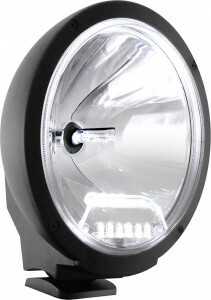 Enhance your existing headlights with QH driving lights, great for rural, semi-rural and highway driving. 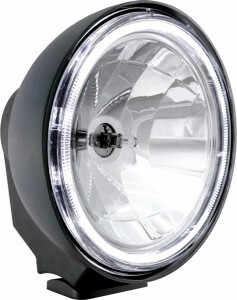 Quartz Halogen driving lights come in 160mm, 200mm and 220mm diameters with a H1 12V 100W globe. The range features a die-cast alloy (black or chrome) or polished stainless steel (160 series) body. Die cast alloy globe holder and free form reflector produce true pencil and spread beam patterns. Blue or clear optics-free lens that has high heat and UV resistance and a protective polycarbonate cover is included. Off-road LED light bars provide saturated light close-in and very wide. 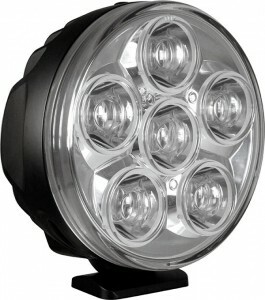 A great complimentary product to existing driving lights. LED light bars come in single row 10W CREE LEDs or double row 3W CREE LEDs in a variety of lengths, with combination of flood and spot beams. The mounting brackets are adjustable 360o and include stainless steel hardware. The housing is die cast alloy with a polycarbonate lens. LED linear driving lights are state-of-the art, they combine quad-optic LED multiplexer projection technology with a sleek form. They are not a LED light bar. They are like LED driving lights rearranged into a single row. Dual beam models have individual pencil and spread beam switching. Four sizes in the range cover every mounting hole distance from 145nm to 1296mm and have a 30% lower profile than LED light bars. The range includes 1200 series 240W LED, 900 series 180W LED, 600 series 120W LED and 300 series 60W LED. TJM Hunter Valley stock a range of Lightforce products including- 170 Striker, 240 Blitz, 210 Genesis, 240 XGT, 170 Venom, portable Enforcer, Rok 40 and LED215.